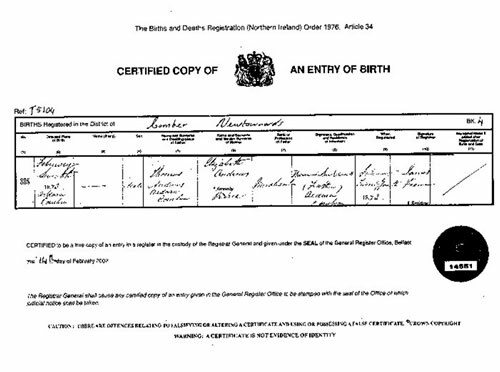 Thomas Andrews was born at the family home Ardara, Comber, Co Down on the 7th Feb 1873. Here is a photograph of Ardara where Thomas Andrews was born. He was the second oldest son in the family and was educated by private tutor until 11 years old when he entered the Belfast Royal Academy Institution until the age of 16 years old. The Andrews Family attended the Unitarian Church in Comber and it was noted that during a fund raising event for the church, kittens were to be sold! However, one took refuge in a place inaccessible to bigger creatures, and it was the young Thomas Andrews who patiently coaxed the kitten out. His reward, he became the owner of the kitten. 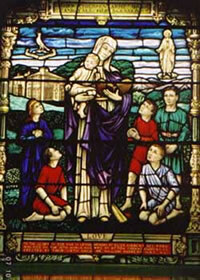 The stain glass window in the Comber Non-Subscribing Presbyterian church depicting the Andrews family. His interests as a child were horses, bee-keeping, cricket and of course boating. This would be on Strangford Lough at Whiterock, not far from Comber. 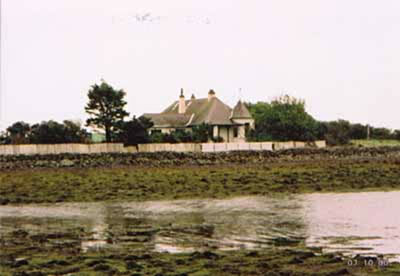 The Andrews had and still do have a cottage on Braddock Island. The stained glass in Comber Non Subscribing Presbyterian Church depicts the Andrews family. 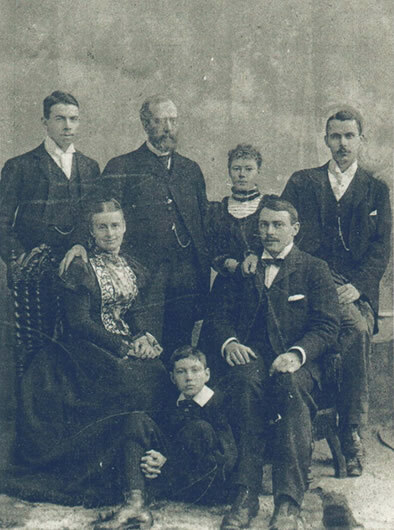 Back row (lr): James Andrews, Thomas Andrews (Father), Nina Andrews and John Andrews. Seated: Eliza (mother) and Thomas Andrews. Seated on Floor - William Andrews. Cricket played a big part in the Andrews family and the North Down Cricket Club in Comber was the team that the all the Andrews played for. 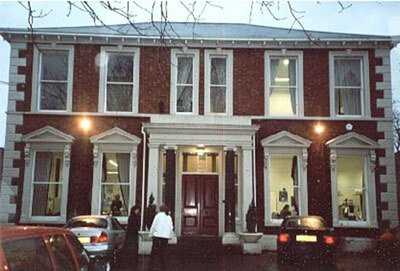 They donated the ground which is still used today by the cricket club. Thomas Andrews donated along with his brother a trophy for the second 11 best player of the year. He did make the mistake once of playing for Harland and Wolff against North Down Cricket Club. Of course, when it was his turn to bat, he was promptly put out for a "duck", he didn't score! In September 1889 he entered the Shipyard of Harland and Wolff as a premium apprentice. This meant that his parents would pay the sum of 100 guineas (£105), today it is about £21,000! During his apprenticeship he would spend different periods of time in each department learning the craft of shipbuilding. During the evening he would attend technical college to learn such subjects as mechanical drawing, applied mathematics etc. His reputation would be known throughout the world following the repairing of the White Star Line's Suevic. This ship's bow was so badly damaged that she could not be moved to Belfast for repair, instead a new bow was constructed in Belfast and towed to Southampton under the supervision of Thomas Andrews. 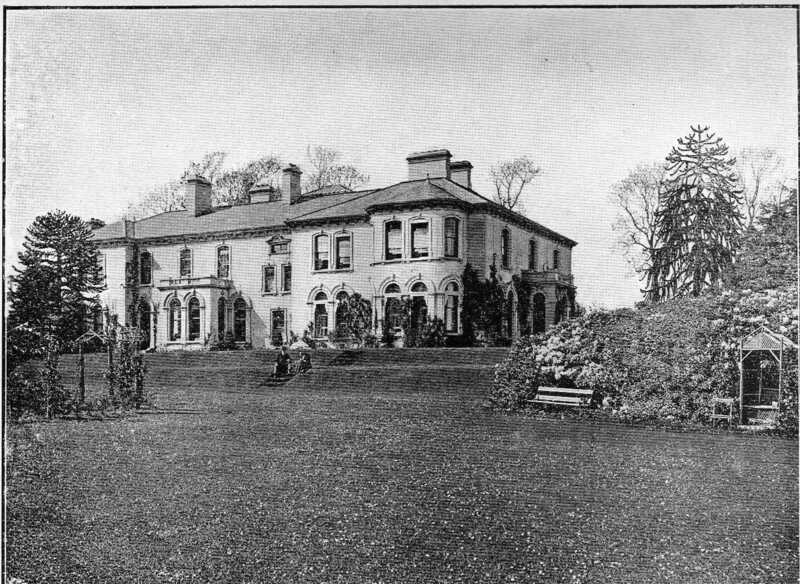 On 24th June 1908 he married Helen Reilly Barbour and together they lived at Dunallan, 12 Windsor Avenue, Belfast (which is now the Headquarters of the Irish Football Association). 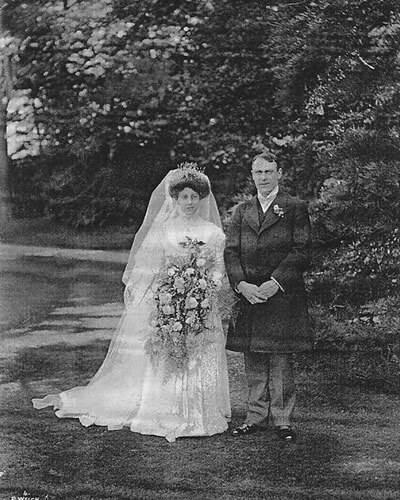 Thomas and Elizabeth on their wedding day. In 1910 their daughter Elizabeth Law Barbour Andrews, (she was always known as Elba from her initials). You will notice that he describes his profession as either Director or Shipbuilder, not Naval Architect. 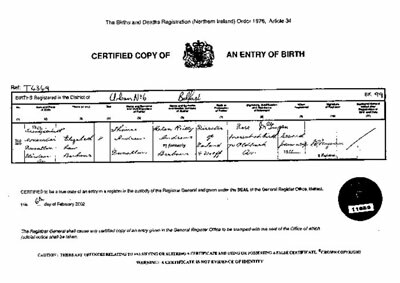 His signature on the second document was signed on the 2nd April 1911, exactly one year later he left Belfast onboard Titanic.